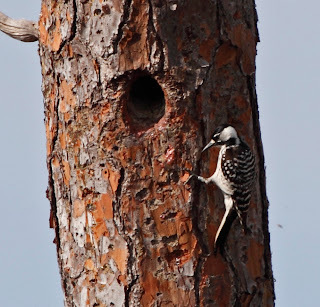 We went to Babcock Webb WMA twice this week searching for some birds that we needed for "lifers". 3 of us got lifers -- Barbara got Brown-headed Nuthatch, Di got Red-cockaded Woodpecker, and we all got Short-tailed Hawk. We all want to believe that we heard the Bachman's Sparrow, but we didn't actually see the bird so we are not counting that one as life bird. 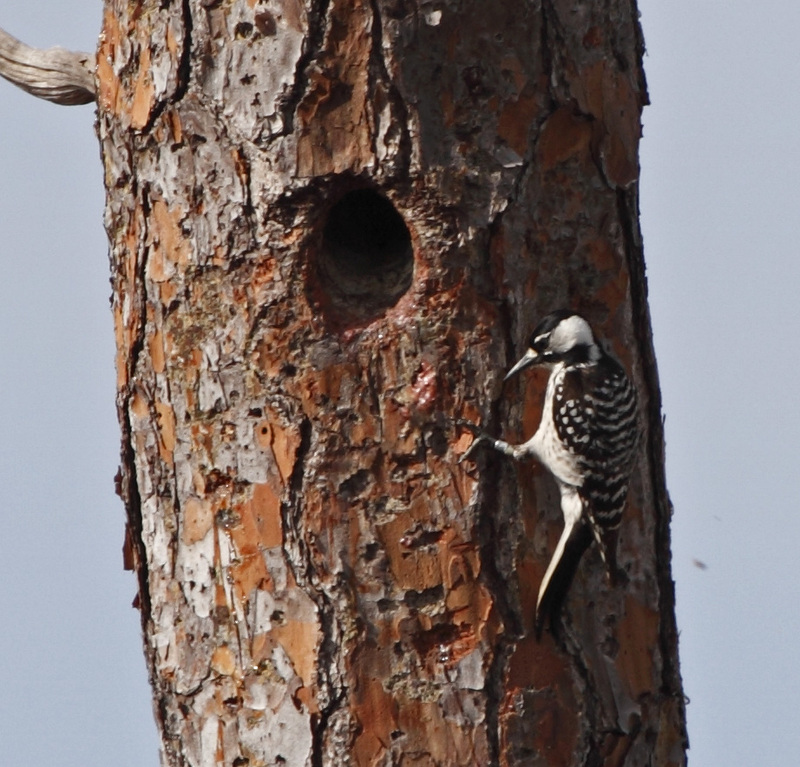 Here is the female Red-cockaded Woodpecker digging out a nest hole. 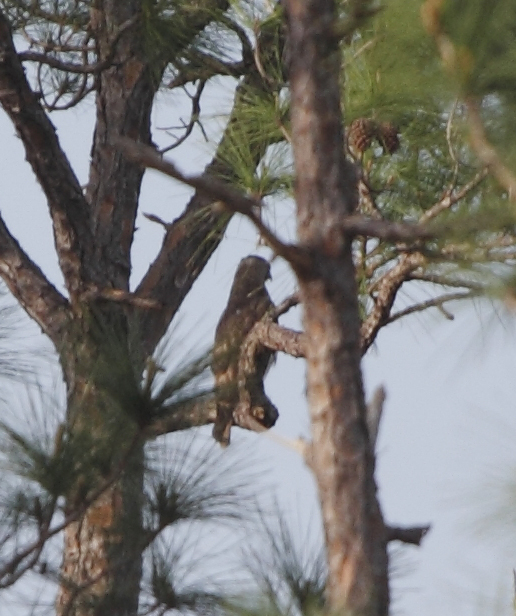 Here is the best photo that we could get of the Short-tailed Hawk. We didn't even positively ID the bird until we blew up the photo. We determined Short-tailed Hawk based on the - well, short tail - and the overall color of the bird. 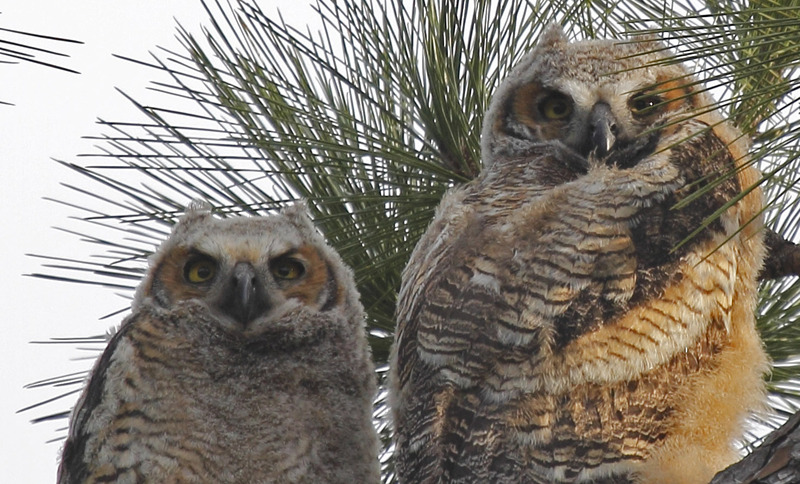 You didn't think we could leave Punta Gorda without checking in on those owl babies again did you? Of course not. 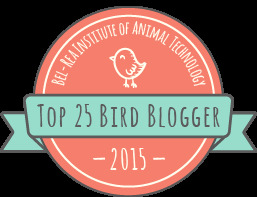 What kind of bird nerds would we be if we didn't see how they were doing? Well, in only one short week of being here, the babies are now big enough that they are out of the nest and hanging out on a nearby branch. Mom and Dad are still very close by keeping an eye on their brood. 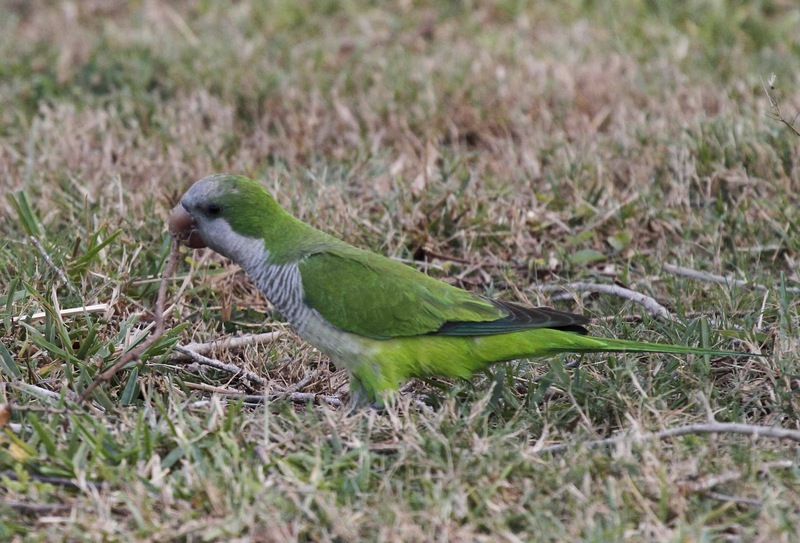 Connie, Barbara and I also got another life bird on this trip - the Monk Parakeet. 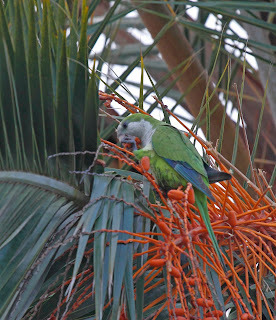 These noisy, social birds colonize city parks including Punta Gorda, Miami and NY City. 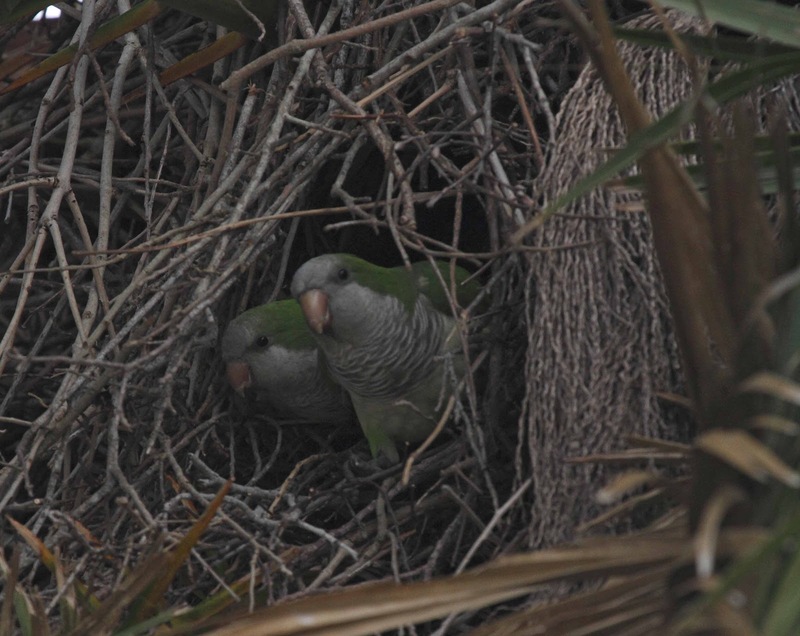 These birds were building nests in the palm trees down by the wharf. 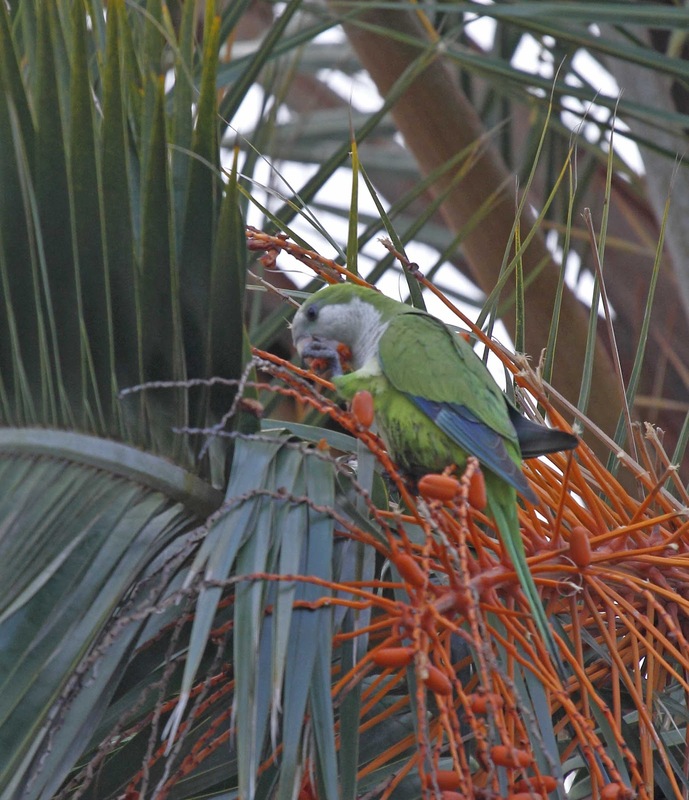 Here is a parakeet eating the fruit from the palm tree. 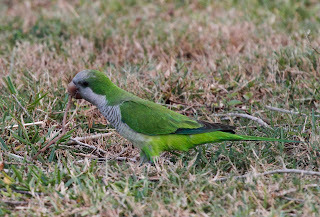 Here is another one picking up sticks for the nest. 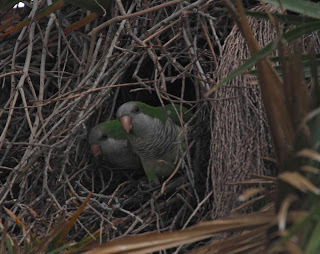 Here is one of the happy couples in their new palm condo nest. There were many nests in each palm tree.